Losing weight does not have to be a hard thing to do, when you have the right methods, that is. You just need to know what you are supposed to do and what not. In the following article, we will share some effective weight loss methods that have actual scientific proof speaking of their efficiency. Read on to find out the secrets behind an effective weight loss process, and you will never look back. Drinking water on a daily level is what will keep your body hydrated, your skin clear, your blood pressure within healthy levels, and what will eliminate the body waste among many other positive effects. One great benefit from drinking at least eight glasses of water each day is weight loss. It has been suggested that drinking water will boost your metabolism rate by 24-30% in the period of around 1.5 hours (1). This means more calories being shredded than ever. But here is a small, yet effective trick for you! Make sure that you drink water right before each meal. A study published in 2010 tested the effects of water drinking regarding the weight loss process. The study found that drinking 500 ml of water around 30 minutes before each meal has helped the individuals to reduce the number of calories that they intake plus achieve weight loss by 44% as compared with the group who did not make an effort to drink water before their meals as a weight loss technique (2). Just because you are on a diet that does not mean that you are not allowed to enjoy the delicious taste of caffeine. In fact, caffeine has been proven to work just fine and even induce weight loss. Caffeine has the superpower to boost your metabolism by 3-11% and with that, increase the calorie count that is being burned by 10-29% according to numerous studies (3, 4). One thought though – If you really want to lose weight, then we would recommend taking your coffee black. That means no sugar or any other sweeteners. Milk would not help the case either. Black coffee is just as delicious once you will learn to appreciate its true taste of caffeine. There are many people that do not like to start their day with a fresh cup of coffee, nor do they like to drink it later in the day. And that is okay! We have the perfect solution for this tricky situation. If you do not like to take your caffeine from coffee, how about drinking some green tea? Green tea is filled with caffeine and antioxidants, and it has been scientifically proven to be able to achieve weight loss (5, 6). Again, we would recommend drinking your green tea without any sweeteners. If you want to improve its taste, perhaps you can add a few drops of lemon juice to freshen it up. And for the best effects, we advise you to take your green tea before and after exercise as to achieve the best effects possible, according to science (7)! Breakfast is perhaps the most important meal of the day. Perhaps it is you’re missing out of breakfast or choosing the wrong breakfast foods that have been contributing to your weight gain process. If you are interested in losing all that extra body weight, then perhaps you would like to think about introducing more eggs in your diet, especially during breakfast. Eggs contain high levels of clean proteins which will help you to feel full and satisfied for a long time. They will help you to stay away from any empty calories throughout the next few hours and eliminate the feeling of hunger efficiently (8). Eggs have been scientifically proven to be able to increase your metabolism rate as well (9). By doing so, they will help you to burn more calories throughout the day and lose weight fast and efficient (10). A low-carb diet limits the intake of carbohydrates on a daily level, by either eliminating them completely or reducing their levels, and replacing them with proteins, healthy fats, and fibers. During a low-carb diet you will lean on to fresh fruits and vegetables, clean proteins, healthy fats, and fibers for help to keep you satisfied and full as you are cutting back on unhealthy carbohydrates. A low-carb diet has been scientifically proven to be able to achieve great weight loss results on multiple occasions now (11). In fact, a low-carb diet is suggested to achieve better weight loss results as compared with a low-fat diet (12). So you might want to rethink your chosen diet! There has been a lot of talk for a long time now that spicy food has been able to induce weight loss. So people have been trying to eat more jalapenos and chili peppers as a way to burn more calories. And guess what – It worked! Chili peppers contain capsaicin, which is a compound that has been found beneficial when it comes to boosting the metabolism rate and burning more calories on a daily level (13). That is why it is worth giving a try to introduce more chili peppers along with your meals. Just be careful – there has been some scientific evidence that speaks of tolerance of capsaicin that people are able to develop over time, which understandably will reduce its effectiveness (14). The way that soluble fiber works are by absorbing the water in your gut and forming a gel-like formation. This gel-like formation is bound to keep you feeling fuller so that you do not feel hungry and you are eating less at the same time. By doing so, soluble fiber promotes weight loss, which has been scientifically proven (15). In fact, soluble fiber helps you reduce your belly fat which is the dream when one is trying to lose weight and look better, especially when it comes to women (16). Try to introduce more fiber in general to your diet by adding avocados, flaxseeds, legumes, blackberries, and Brussel sprouts which are all natural sources of fiber. According to a study published in the Obesity Reviews, eating fruits and vegetables on a daily level will help you lose weight efficiently (17). Most fruits and vegetables contain very few calories and a ton of nutrients in them, focusing on vitamins, minerals, and fibers the most. There is a variety of fruits and vegetables that you can enjoy in each season of the year. You can use them as a snack, or you can add them to improve the taste of your daily meals. The choice is up to you! Every aspect of our life is influenced by the amount of sleep that we are getting each night, including our weight loss journey. Poor sleep has been linked to a greater risk of weight gain among other health risks and issues (18). Sleep is one of the best ways to relieve stress which makes it a friend to the weight loss process. We recommend creating a sleep schedule that will allow you to sleep at least 7-8 hours each night. Make sure that you go to bed early and stay away from the TV, your phone, and your computer late at night. Wake up each day, preferably, at the same time, and enjoy the new energy. Are you always at a rush whenever you are eating? How about you make the time to sit down, relax, eat, and actually feeling the great taste of food that you are eating at the moment? Chewing slowly and thoroughly will help you burn more calories, eat slowly, and let your brain register and notify you in the exact same moment when your stomach has been filled with food (19, 20). By eating fast, you are at an increased risk of overeating, and as you know, overeating leads to overweight and eventually obesity. Perhaps it is your plates that are creating the illusion that you need more food. If you always serve your food in big plates, you are bound to serve more food than you actually need to satisfy your hunger at the moment. So you end up eating way too many calories that help the weight gain process. Replace your plates with smaller ones and always tend to put less food on your plate (21). Not to worry – if you end up still feeling hungry at the end, you can always fill your plate a little bit more, just watch out for the extra calories. Any physical exercise is a friend to the weight loss process, but there are some workouts that are better at burning those extra calories than others. One of those workouts is the aerobic exercise, or cardio without a doubt in our minds! Aerobic exercise will strengthen your heart, lungs, and help you burn more calories than ever (22). Plus, you will get lean, strong muscles that you will be glad to show off around, especially now with the summer coming our way. And if you are struggling with belly fat, then do not even think twice about trying aerobic exercise as your weight loss method! Weight loss has its side-effects as well, one of which is a loss of muscle mass. Loss of muscle mass happens when the individual is focused on a calorie restricted but does not perform any specific physical activity to preserve its muscle mass at the same time. If you are interested in losing weight but building lean muscles at the same time, we would recommend trying a combination of calorie restrict along with weight lifting, which has been an effective method, backed up by science (23). Anyone who is interested in losing weight in a healthy way should be introduced with the importance of clean protein, as the single most important nutrient when it comes to healthy and effective weight loss. A high protein diet has been proven to boost the metabolic rate by 80-100 calories on a daily level, which is purely amazing (24). In addition, the clean proteins will help you build lean and strong muscles faster than ever while you are losing weight at the same time. Some of the biggest natural protein sources are tuna, salmon, chicken, soy, beef, legumes, milk, cheese, yogurt, eggs, and many others. Despite the fact that a glass or two now and then has some health benefits, excessive alcohol intake will only do your body and mind harm. One of the aspects of your life that are easily influenced by your alcohol intake is the weight gain process. In fact, studies have shown that excessive alcohol intake has been linked to the increased risk of central obesity which is a term that refers to the presence of belly fat (25). This does not mean that you should give up on alcohol altogether, but limiting your alcohol intake to one glass of wine in the evening would do the trick at reducing your waist size. And while we are at it, beer and cocktails might not be the best choice for an alcoholic beverage since they are known to contain quite a lot of calories. 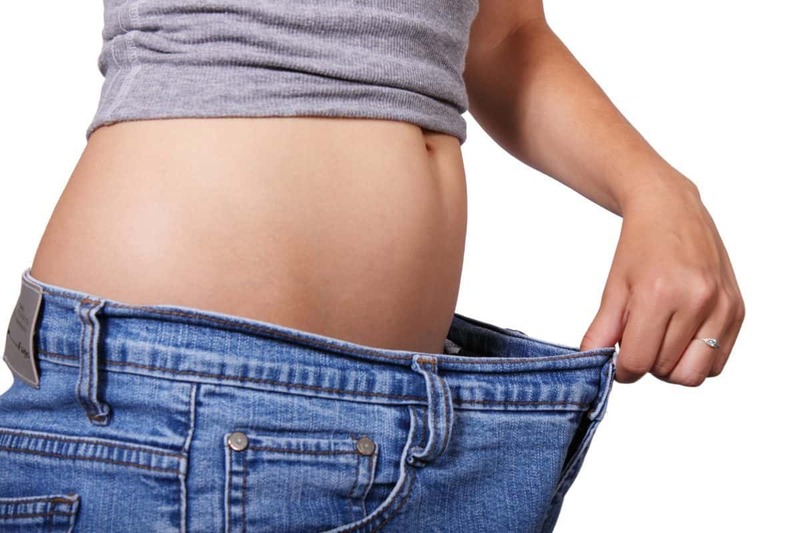 Now that you have discovered the simple tricks to lose weight and never look back, you can join the millions of people in their battle against losing the extra body pounds. As you can see, drinking a tall glass of fresh water before your meal, cardio exercises, and a long night of sleep, among other methods, can help you shed those extra pounds in a matter of days! previousWhat Can You Eat On Vegan Diet?